I was a little late to the feast when it came to In Defence Of Food. 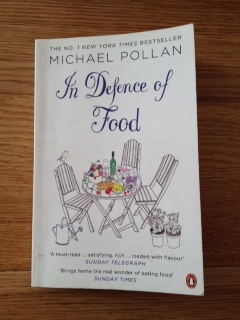 My secondhand edition of Michael Pollan’s healthy eating treatise is garnished with words like ‘bestseller’, ‘must-read’ and ‘Book of the Year’. The year in question was 2008 and – though time and food fads may have moved on since then – common sense hasn’t. Pollan’s recipe for eating holds true. A bit like the ‘whole foods’ that he repeatedly praises, Pollan’s central thesis is served fully formed: Eat food, not too much, mostly plants. It’s simple. And it’s a theory that frees you from focusing (or obsessing) on vitamins, saturated fats, free radicals, metabolic syndrome or any other effects of the foods or food-like products you eat – the ones that may or may not cause obesity, cancer, diabetes or heart disease. Pollan’s advice won’t work for everyone. In fact it’s unlikely to work for most. Food producers make money from industrially growing their produce, food companies from refining it, doctors from treating the effects of eating it, and Big Pharma from making new drugs to better treat the diseases caused by the effects of eating it. And our brains, which crave glucose, don’t complain when we give them more and more of the stuff, usually from refined carbohydrates. This is the food industry that whole foods (described by Pollan as ‘food that your grandmother would recognise’) are up against, and have been for the past 50 years. Not as profitable as processed foods, a simple vegetable can appear mute in the face of the multi-billion euro marketing yell of the food industry. It’s ‘the silence of the yams’, as Pollan puts it. There may have been a time when we regarded processed food as better for us (margarine, conveyor of spreadable trans fats, was marketed in the 1950s as healthier than butter) but that Atomic Age attitude has long since disappeared. Now we eat it because it’s cheap and there’s lots of it. And it’s there too, in your face. 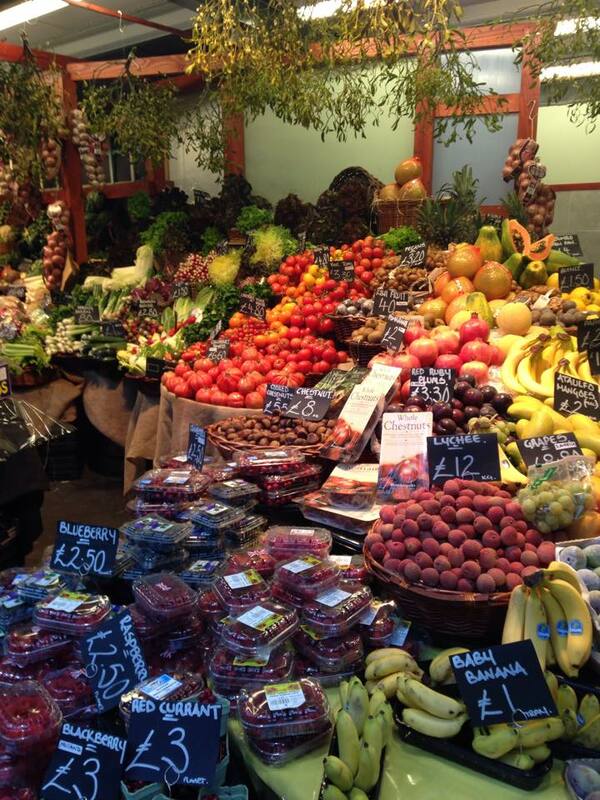 Walk into any supermarket and compare the screaming colours of the centre aisles to the vegetables around the outside. Away from the supermarket watch TV, browse social media, go to a sports’ event or a gig – and count the ads. Amidst the noise, the claims, claims and more claims, the appeal of simple, non-scientific advice is strong. Does it work? I’ve no idea. Neither does anyone else, definitively at least. But I’ll err on the side of the Neolithic people whose tomb I visited last week, and the hundreds of generations since, up to the mid-20th century, by eating food, not too much, mostly plants. Washed down by a little wine. There’s no 4G service at Newgrange. In fact you’ll be lucky if your phone works at all. The renowned Neolithic site may be situated on a hill above flat, rolling countryside but at times you’ll be lucky to get a signal. That’s fitting. 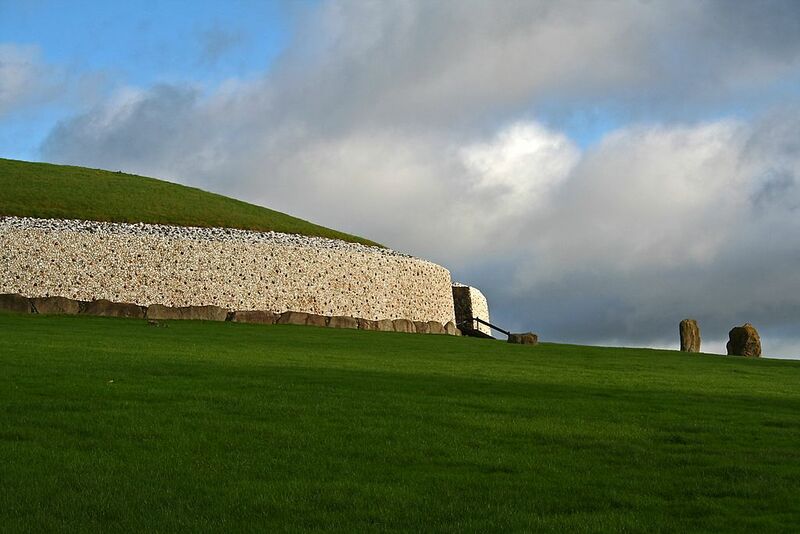 Newgrange is an antidote to distraction culture, carrying or checking devices. At Newgrange modernity and its trappings cease. 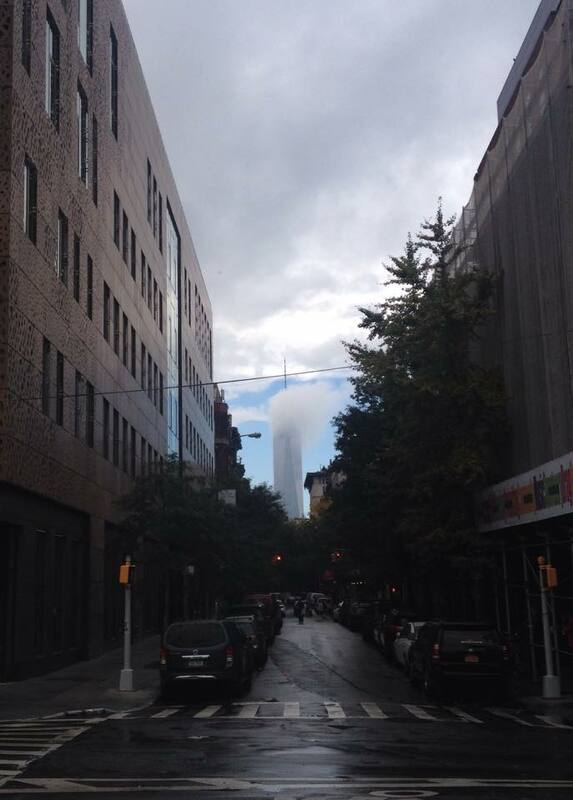 Visiting the monument, as I did for the first time this week, offers temporal context. Put bluntly, you’re in awe of how old the place is. 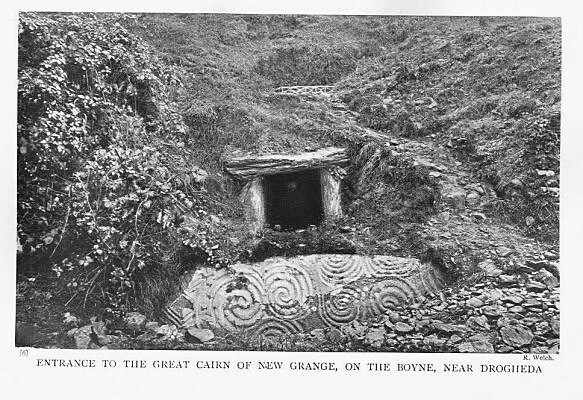 The passage tomb dates back more than 5,200 years. It’s older than the Great Pyramid of Giza or Stonehenge. Used for 1,000 years as a burial site and place of worship it was abandoned around 2,000BC, left to time and thieves and eventually, in the wake of the archaeologists, tourists. Standing inside the darkened tomb, having squeezed in through the narrow passageway – and despite being surrounded by other visitors – one feels a deep isolation, an immersion in time. 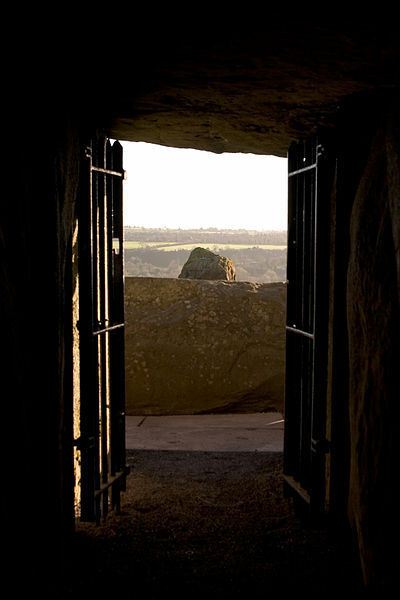 That Newgrange exists at all is remarkable. That one can stand in the same chamber as the nameless people who built it, reaching across five millennia to feel as they felt and inhale the dry, stony air as they did, is a unique experience. Unique because, in a 21st century where the concept of experience is often flattened to something on a screen, Newgrange requires presence; it demands that you stand in one of the oldest roofed structures in existence. You must be there. The astronomical significance of the tomb is well documented. A tour includes a brief light show, illustrating how the sun creeps across the floor of the chamber on the Winter solstice. But the beautiful moment is the instant before that light appears, as you stand in the total darkness of the tomb, sunk in time. To slip in the black bottomless lake and be still. 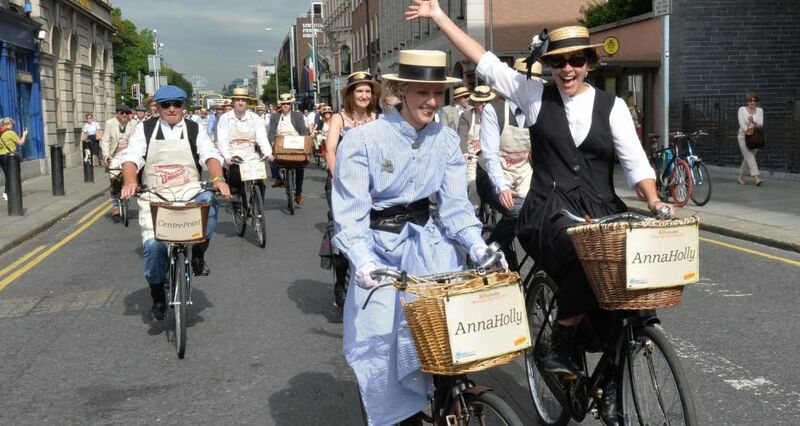 If any one of the hundreds of Joyce fans who’ll flock to the Dublin’s streets for Bloomsday next week could have met the man himself what would they have encountered? 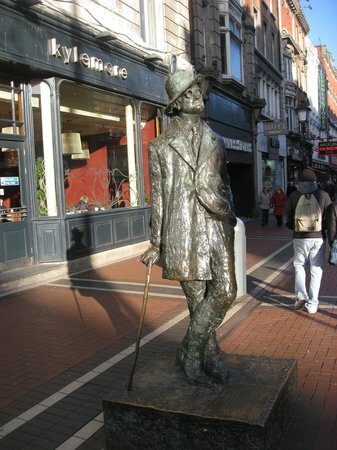 The dandyish, cane-leaning street-stroller immortalised in a statue on Talbot Street? The aloof, slightly imperious scholar who wed Greek myth to modernism? Or the earnest, lovestruck young man who was stood up on a Dublin street corner on his first date with his future wife? Perhaps none of the above, if they were to meet the man Djuna Barnes did. 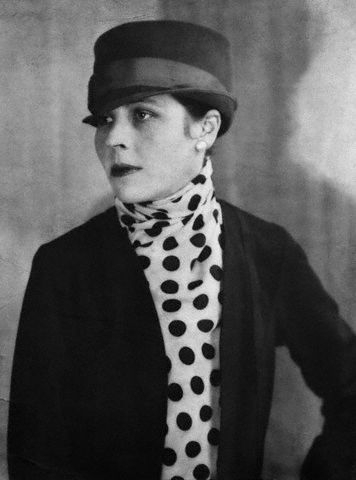 The French-based American writer, no small modernist talent herself, profiled the Irish writer for the March 1922 issue of Vanity Fair. 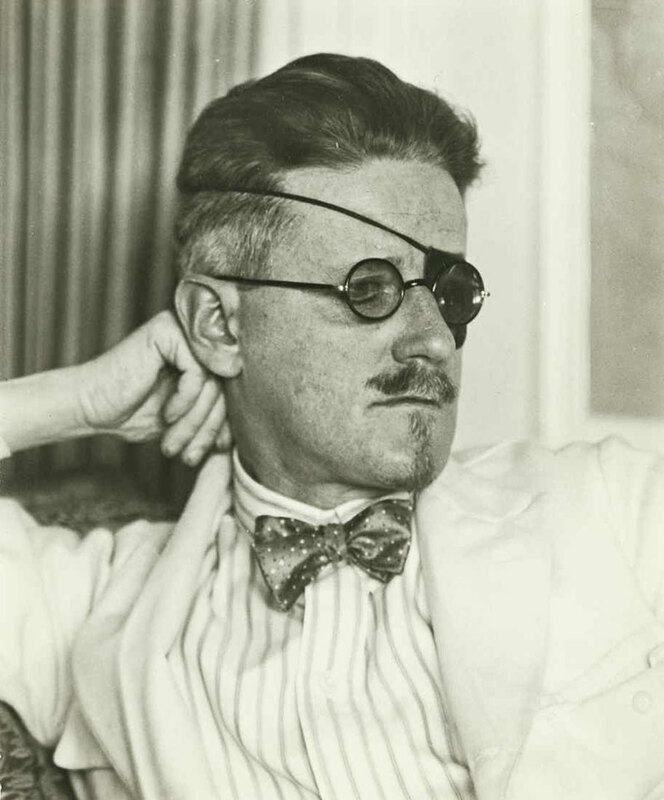 The Joyce of Paris 1922 bore “an orderly distemper of red and black hair”, wore a blue coat “too young it seemed”, a waistcoat made by his grandmother and sat with his head “turned farther away than disgust and not so far as death”. He drank a “thin, cool wine with lips almost hidden”, and smoked an “eternal cigar”. 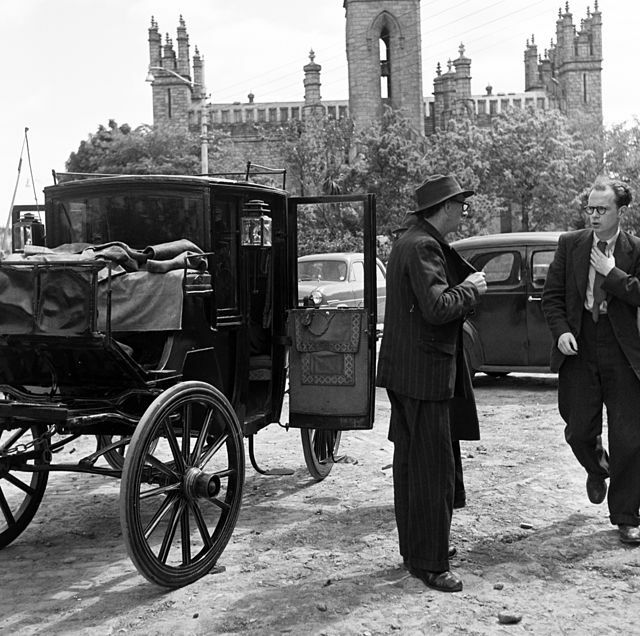 What did the Joyce the exile, the master storyteller of Dubliners, the writer of the novel of his century – published only two months earlier – chat about? “We have talked of rivers and religion,” Barnes writes. “The instinctive genius of the church…of women…we have talked of death, of rats, of horses, the sea; languages, climates and offerings,” Barnes writes. No mention of boater hats, gorgonzola sandwiches or bicycles with baskets, mind you. Most surprisingly of all, for a man who propelled the novel into the twentieth century, the Dubliner wished to talk of “anything that is not “artistic” or “flashy” or “new””. 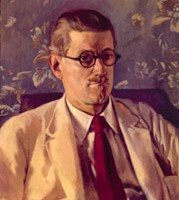 Were today’s Joyceans to meet the man himself then, they would likely encounter a “heavy man yet thin”, reading a book of saints (“he is never without it”) and “muttering to himself that this particular day’s saint was “a devil of a fellow for bringing on the rain, and we wanting to go for stroll””. Let’s hope the weather holds for on Tuesday then. The One City, One Book event run annually in Dublin always strikes me as a tease. Whenever I read of this year’s nominated book I usually think: what of X, or Y – when will Z get the credit it deserves? Some years ago a visiting friend asked me what books she should read ahead of a visit to the city. I was stumped. Who would to attempt Ulysses as a primer for a city break? Kavanagh’s Baggotonia represents Dublin but just one part of it. I’ve found myself similarly stumped when travelling abroad. For years I’ve sought out The Great London Novel – to no avail. Dickens, Greene or Ackroyd each wrote part of what that city is, but as the deeper I read the more I’m left with a sense of the enormity of the task, the impossibility of knowing the place through literature. Perhaps it’s a side-effect of Twitter, or a symptom of distraction, but lately I’ve turned to extracts, simple paragraphs, as triggers to evoke a memory or mood of certain places. …my first choice would be Pete Hamill’s Whitman-esque evocation of his home city in Downtown: My Manhattan, an account written by a man – as I always envisage him – standing alone on that island’s west side piers on a late Autumn afternoon, just before sundown. Go down to the North River and the benches that run along the west side of Battery Park City. Watch the tides or the blocks of ice in winter; they have existed since the time when the island was empty of man. Gaze at the boats. Look across the water at the Statue of Liberty or Ellis Island, the place to which so many of the New York tribe came in order to truly live…Gaze at its ruins and monuments. Walk its sidewalks and run fingers upon the stone and bricks and steel of our right-angled streets. Breathe the air of the river breeze. My wife is from Los Angeles and I’ve spent time there, but not enough to fully appreciate the astonishing capacity it offers for reinvention, the cost of which is grinding failure, the reward searing success. Joan Didion understood the distance between the two, writing in Slouching Toward Bethlehem. The future always looks good in the golden land, because no one remembers the past. Here is where the hot wind blows and the old ways do not seem relevant, where the divorce rate is double the national average and where one person in every thirty-eight lives in a trailer. 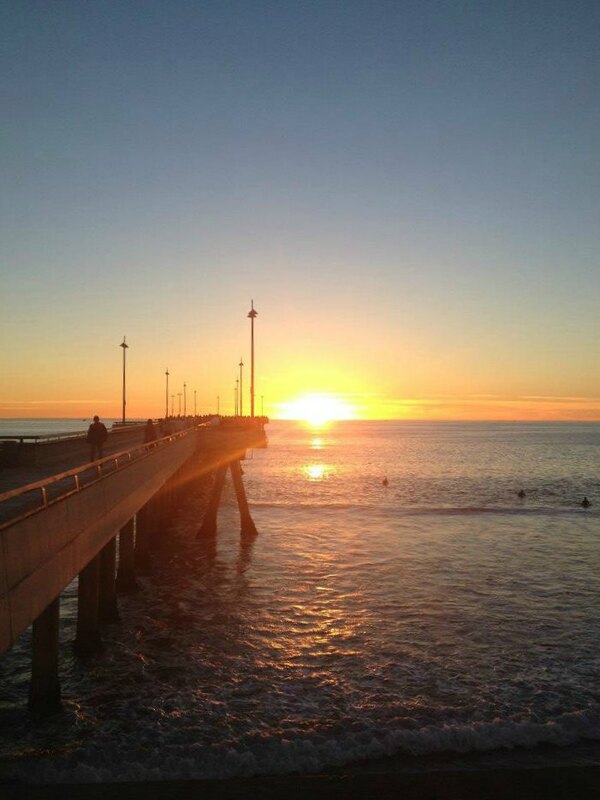 Here is the last stop for all those who come from somewhere else, for all those who drifted away from the cold and the past and the old ways. Here is where they are trying to find a new life style, trying to find it in the only places they know to look: the movies and the newspapers. Finally, to Joyce – and Dublin. 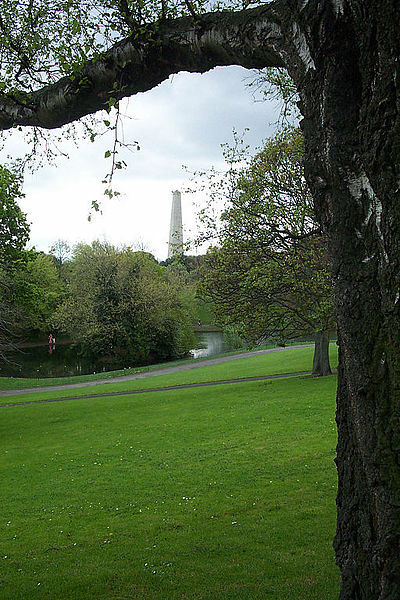 Not Leopold Bloom’s city wanderings, but rather those of Mr Duffy in the Dubliners‘ story ‘A Painful Case’, who pauses on a hilltop in the Phoenix Park and looks over the city stretching eastward along the Liffey, thinking of his deceased lover. When he gained the crest of the Magazine Hill he halted and looked along the river towards Dublin, the lights of which burned redly and hospitably in the cold night. He looked down the slope and, at the base, in the shadow of the wall of the Park, he saw some human figures lying… He turned his eyes to the grey gleaming river, winding along towards Dublin. Beyond the river he saw a goods train winding out of Kingsbridge Station, like a worm with a fiery head winding through the darkness, obstinately and laboriously. It passed slowly out of sight; but still he heard in his ears the laborious drone of the engine reiterating the syllables of her name.